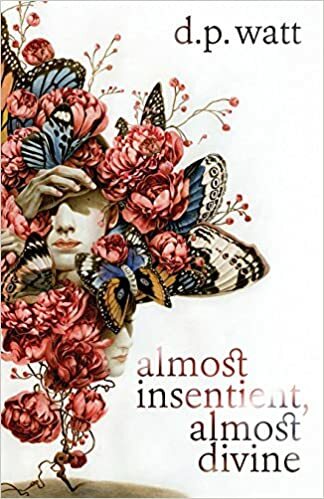 Almost Insentient, Almost Divine is an excellent collection of short fiction from author D.P. Watt, a very British but also very modern feeling set of weird fiction. The influences of Beckett, M.R. James, Ligotti and (especially) Aickman are evident, but they are just that, influences. The world of D.P. Watt is firmly his own and this collection is proof of the surety of his vision. The stories here initially seem to use comfortably familiar genre concepts, but by the end of each the reader has been swept far from known reference points, dragged under by the bizarre and mysterious. (And this is an accurate description of the fate of many of Watt's protagonists, too.) The reader will encounter within strange puppets, shifting identities, doomed lovers, the desperate inhabitants of a violent city, and the sleeping beings of a world of snowy wastes. These stories are ambiguous, but not in any lazy sense of the word. Watt skillfully crafts what he leaves out of his tales as much as what he includes, and these empty spaces & silences all add to the unease he generates. Only in a few cases did the conclusion seem too enigmatic to me, but even these pieces intruiged me enough to want to reread them soon. Maybe their secrets will be revealed then. Not everything here aspires to Aickman levels of mysteriousness. Mors Janua Vitae and Honey Moon both had what could be seen as conventional horror denouements; the former being an especially clever tale built entirely on the skillful use of dialogue to convey a one side of a conversation. My favourite pieces here were the opener With Gravity, Grace; the sublimely creepy Shallabalah; and most of all The Usher, the story of a man who attends a very strange theatre performance. It's a story that exemplifies many of the themes and techniques of this collection, and it seemed to me outstanding, a piece of weird fiction for the ages. Special mention must also go to Timothy Jarvis's Introduction to the collection, a fictional exploration of Watt's literary predecessors, and a bravura piece of fiction in its own right. It's a testiment to Watt's talent that his support act doesn't overshadow his own performance.